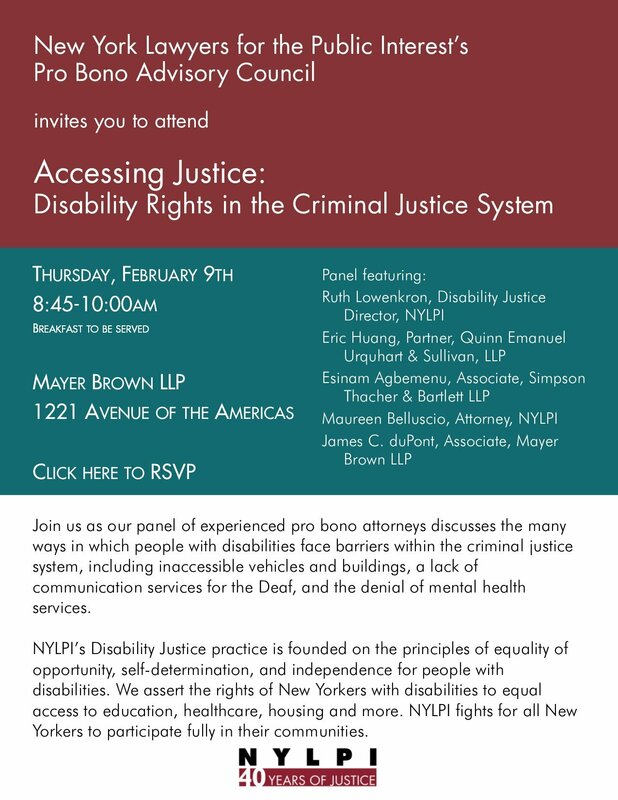 Join NYLPI’s Pro Bono Clearinghouse as our panel of experienced pro bono attorneys discusses the many ways in which people with disabilities face barriers within the criminal justice system, including inaccessible vehicles and buildings, a lack of communication services for the Deaf, and the denial of mental health services. 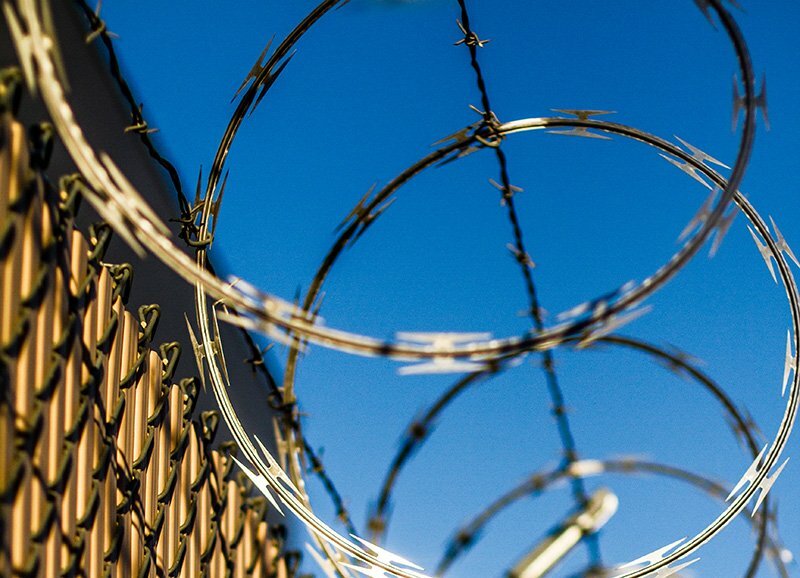 NYLPI’s Disability Justice practice is founded on the principles of equality of opportunity, self-determination, and independence for people with disabilities. We assert the rights of New Yorkers with disabilities to equal access to education, healthcare, housing and more. NYLPI fights for all New Yorkers to participate fully in their communities.